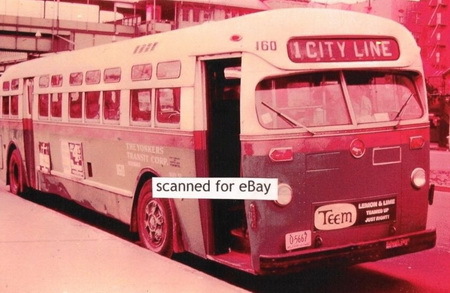 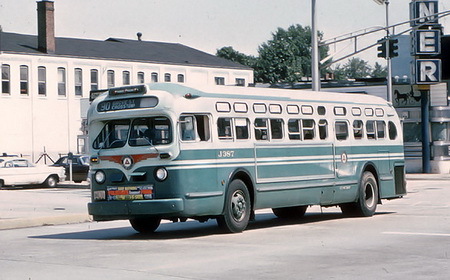 The Third Avenue trolley lines in Yonkers were abandoned in 1952 and replaced by fifty-five Mack C-45 buses carried the name Yonkers Railroad (later Yonkers Transit Corp.). 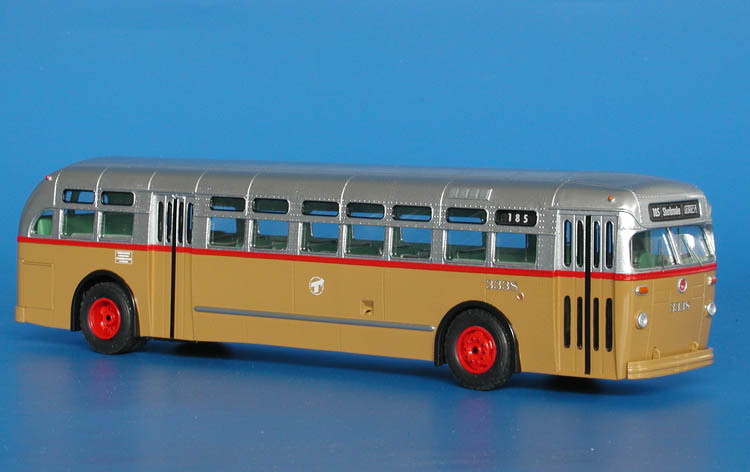 The C-49DT coaches were added to the roster later, when two Mack 96' wide demonstrators were acquired in 1957 (numbered 159, later renumbered to 171 and 160) and five more coaches with 'New look' front end were bought in 1959. 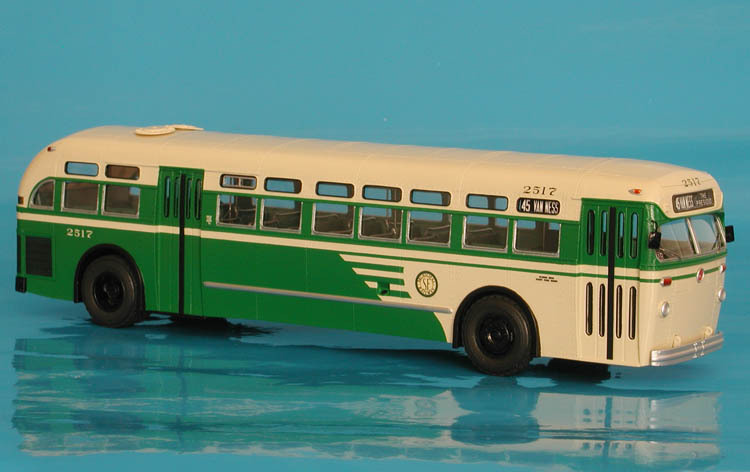 In 1962 the company acquired 102' wide coach #600 from Triple Cities Traction Co. (former Mack demonstrator, built in 1958), which was the only 102' wide Mack in the roster. 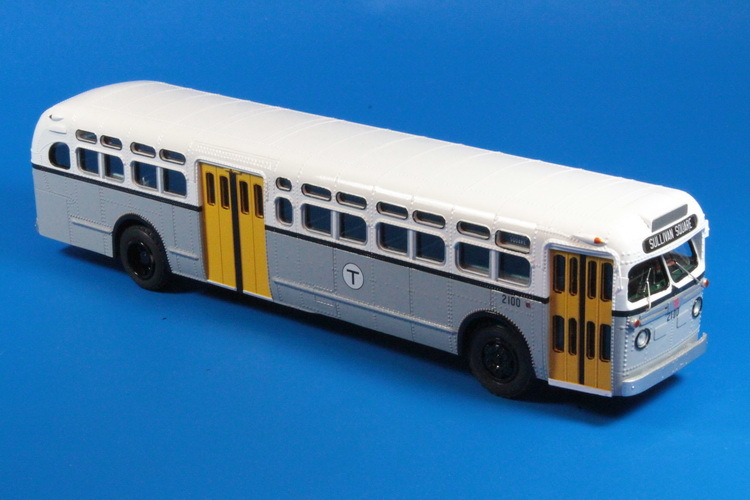 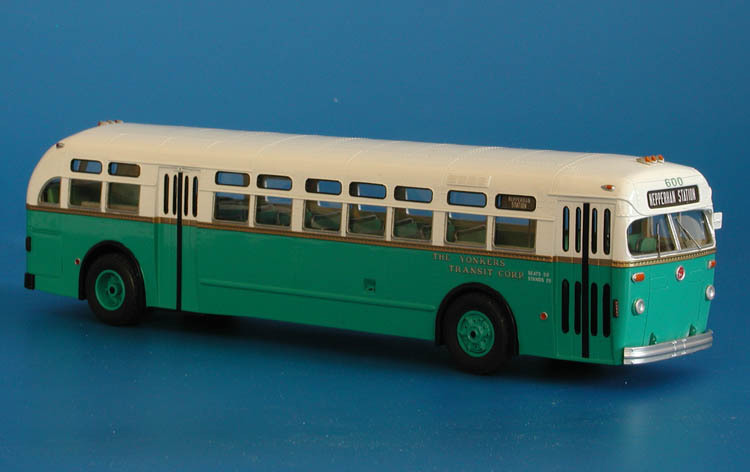 This special Custom paint order model have all features of the Yonkers Macks but it use the slighlty shorter California version (274 1/2' wheelbase) body as a base.